* The battery that was supplied with the unit is for temporary use - intended primarily for testing its operation. 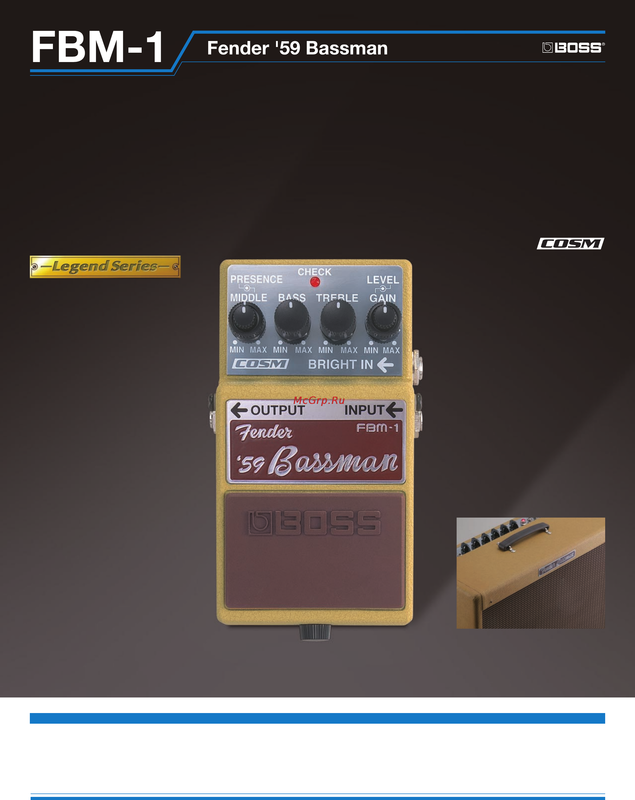 Fender® and BASSMAN® are the trademarks of FMIC. *Actual product appearance may be subject to change. Fender® and Deluxe Reverb® are the trademarks of FMIC. overdriven amp to add the tone character of the Bassman. Fender, BOSS designed this stompbox to recreate the legendary tone of the 1965 Fender Deluxe Reverb amp. add the tone character of the Deluxe Reverb.